I posted this on my Facebook page as well, but I know not everyone has Facebook and I didn't want anyone to miss out on the Black Friday specials that I am offering. I hope you're excited, because I am! 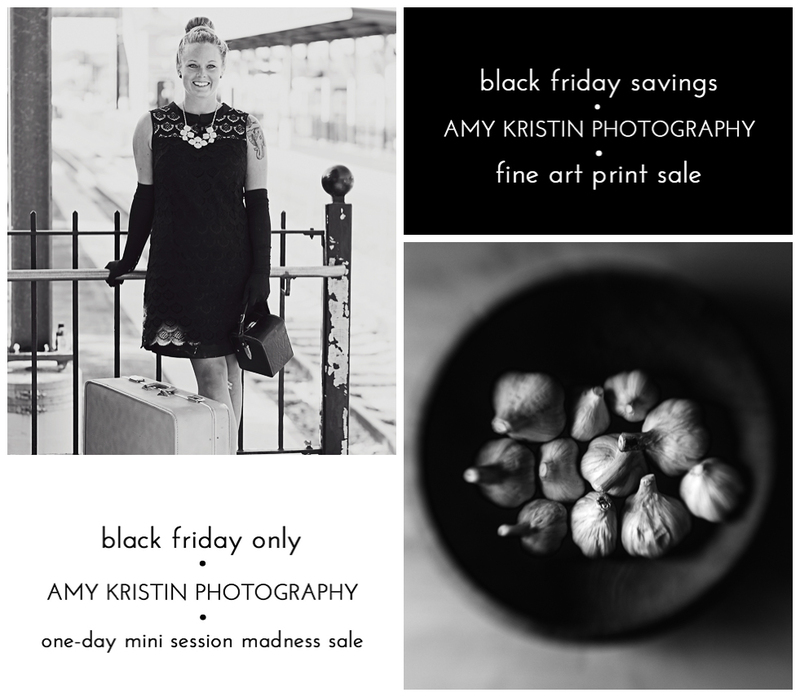 Here are the Black Friday deals that Amy Kristin Photography is offering! **Mini sessions above must be booked on 11/29/2013 and must be scheduled on or before 2/16/2014. To obtain Black Friday deal, call Amy Kristin Photography at 401-749-6934, inbox via Facebook, or email at info@amykristin.com. This will be handled on a first come, first served basis. Looking for some FINE ART PRINTS to give as gifts or to grace your walls? All fine art prints and canvases will be on sale from Thanksgiving Day through 11:59 p.m. on Black Friday, 11/29. 20% off applied automatically, and get free shipping with promo code SHIP. Find fine art prints by clicking on the "fine art prints" link at the bottom of my webpage.